Tilta Technology Co., Ltd was founded in 2008. In the beginning, our staple products were DSLR camera rigs. Today, filmmakers at every experience level use the tools we manufacture and develop to make their ideas a reality. 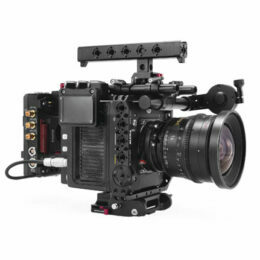 The Tilta design team is determined to create and produce high quality camera accessories. Our factory is managed by first class professional production teams equipped with state of the art CNC milling machines. Our customer service team is here to help you wherever you are. We devote ourselves to making the best possible products in the same way you devote yourselves to your shoots. We strive to meet your needs and dreams. Your personal experiences and feelings about our products help us to improve our entire product line. We are not just providing you with industry-leading equipment but an entire professional solution to your filmmaking needs. We greatly value making your next shoot flexible and streamlined. Embrace freedom of choice. There are no limits.